When it comes to mooing, 10-year-old Austin Siok is an expert. The Dyer Intermediate School fifth-grader last week won an annual mooing contest at the Wisconsin State Fair because he sounded more like a real cow than the other about 80 contest participants. And since then he hasn’t stopped mooing, said Austin’s mom, Dawn Siok, 47, of Burlington. 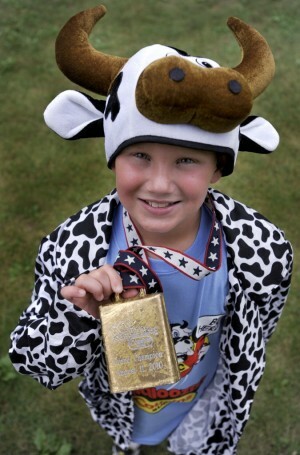 via WITH VIDEO: Local boy wins state fair mooing contest. Braeden Furlow teed up his SpongeBob SquarePants ball from about 85 yards out, picked up a 3-wood and made a solid hit that bounced twice on the fairway before landing in the hole. Some golfers go their whole lives without marking down a “1.” Braeden’s hole-in-one was his first, but that shouldn’t be a surprise — he’s all of 6 years old. A three-year-old New Zealand girl bought a mechanical digger for £8,000 while her parents were asleep. 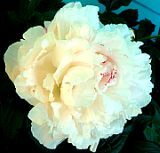 Pipi Quinlan, who lives in Auckland, logged onto the family computer and got on to an online auction site her mum had been using earlier. She then submitted what turned out to be a winning bid of 20,000 New Zealand dollars for a massive Kobelco digger, the Rodney Times reports. Where are they going to find that many chips? 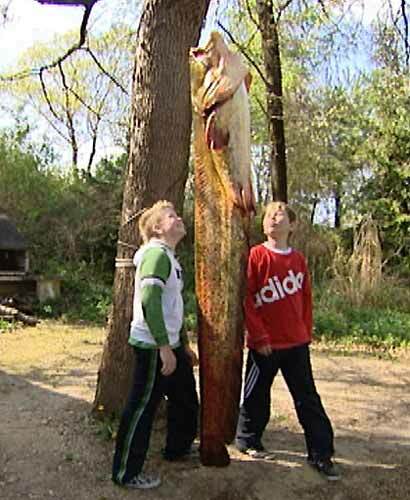 An Austrian schoolboy landed a seven foot fish on his first ever fishing trip. Holger Vukovich, 14, had to use a winch to haul the animal out of the water because it was so heavy. He caught the eight stone [about 112 pounds] cat fish when his grandad took him and a school friend out on his first fishing trip to a pond in his home town of Baumgarten. April 17, 2008 Posted by oldstersview | animals, Kids	| Comments Off on Where are they going to find that many chips? October 28, 2007 Posted by oldstersview | animals, Kids	| Comments Off on You gotta kiss a lot of toads…pigs. Might as well start early. A bridge is to be built in a Chinese village where children are forced to cross a raging torrent on a steel cable to get to school. Nearly 500 children, from Maji village in Fugong town, Yunnan province, cross the most dangerous stretch of the Nujiang River each day.They fasten themselves to the cable with a metal carabiner and a rope and slide across the 200 metre wide canyon, reports the Beijing News………………Government officials finally agreed to build a bridge after a TV documentary shamed the cheap government officials by showing the dangerous conditions the children endured to get to school. The youngest child to use this cable is only four years old. Two German schoolboys made a 200 mile trip across the country on their own using pedal cars and a train. The boys from Verl, aged 12 and nine, decided they wanted to go on holiday on their own this summer and chose Denmark as their destination after a similar fun holiday there the year before. They drove the pedal cars 20 miles to a train station before getting on a train for Romsoe in Denmark. But the pair got homesick after 200 miles when they arrived in Hamburg, and turned round and went home. A [12 year old boy] has defied the odds and hatched a duckling from a box of eggs he bought from a supermarket. Will Parris paid £1.50 (€2.25) for the box of free range duck eggs which he took under his wing…With his dad Andrew’s help he borrowed an incubator, put the eggs inside and waited to see what would happen. In the early hours of July 8 with friend Josh Collier staying over, the boys were woken up to see a duckling start to break free from one of the shells. “We saw the crack in the egg and the duckling trying to peck its way out,” he said. “It was amazing. I thought nothing would hatch. I have never had a pet like this before. This beats the rest,” said Will (12).